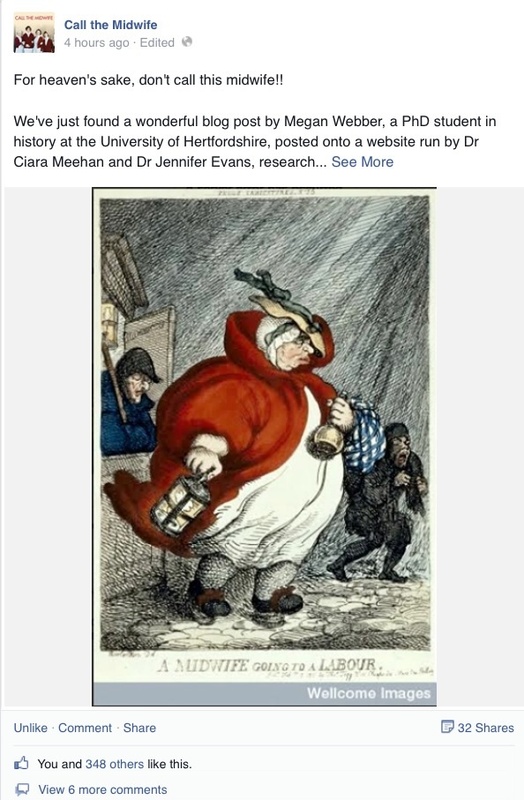 We are delighted to share the news that Megan Webber’s blog post on midwives behaving badly in the nineteenth century was noticed by the people over at the BBC television programme, Call the Midwife. They’ve shared the link to what they’ve called Megan’s ‘wonderful’ and ‘fascinating’ post on their official Facebook page and it’s generating lots of interest — our stats are flying up! As they have more than 250,000 followers, it’s great exposure for Megan’s work. If you haven’t already done so, join the hundreds of other people reading Megan’s post. This entry was posted in News and tagged midwives. Bookmark the permalink.